With Francis Dashwood turning up everywhere within the Temple Bruer 5.151 pentacle dynamics I felt it worth giving him a full article. 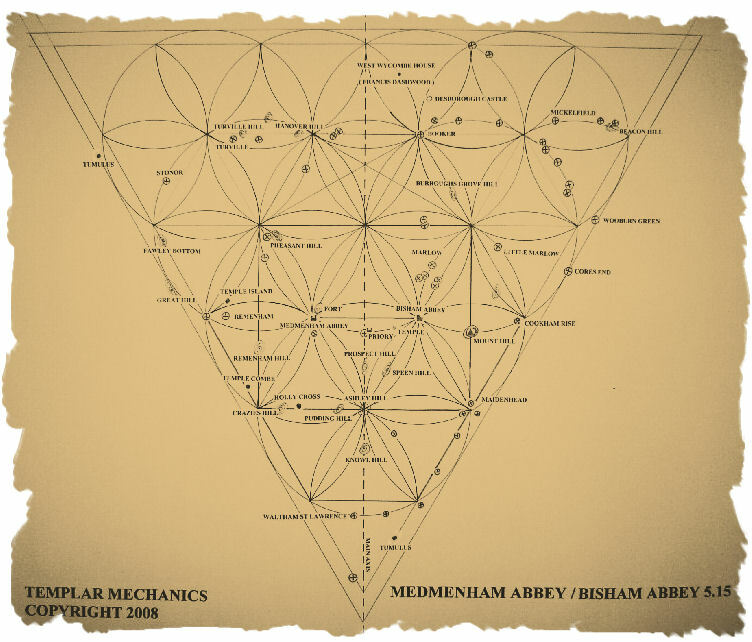 More details regarding the above points can be discovered through further reading of the articles on Templar Mechanics ...Under Temple Bruer section. To say the name ‘Francis Dashwood’ creates an automatic knee jerk reaction from people who have taken the consensus popular view projected from the media ...Without a full understanding of the times these individuals were living in. Same problem occurs with the Templar’s where tales of barbarity bring condemnation from the modern age......True ignorance comes forth from generalisations as people love to box and compartmentalise whole groups so as to aid there own limited understanding of affairs...All Templar’s were baby eating barbarians and all Masons are Satanists . Unfortunately things in life are never that simple, generalisations often underpin ignorance. The above is no different to stereotyping other groups, like saying all Manchester United fans are football hooligans or all politicians are corrupt. ....well maybe the last one holds some water. People seem to forget the 12/1300’s were barbaric times....people were tortured or executed by lots of factions and groups during the Templar period. Fearful times for sure ...and now we are hopefully more tolerant with each other, although pockets of the brutality and the law of the jungle mindset still exist....mainly in the military. 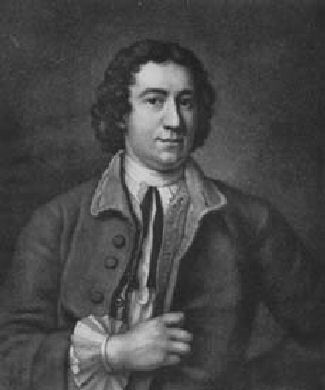 Francis Dashwood was interested in excessive living for sure, and being free to do what he wanted to do whenever he wanted to do it. His ‘Knights of St Francis’ ...later called/termed ‘Hell fire club’ had certain beliefs associated with it. The above as radical as it was at the time, seems no different to the everyday student lifestyle for the new millennium. Even today small village communities are alive with gossip about the goings on locally, who has been seen with whom and what time they left. We may have evolved from some of the more brutal times but not the small town gossip...This was as alive in 1756 as it is in 2011. So even ‘tales of yesteryear’ regarding the ‘carry on’ of the time cannot being taken as fact..Like chinese whispers, when the story is retold over several generations it gets distorted and often exaggerated for effect . If Dashwood was seen letting a lady out of the premises at 1 am at the Green Man Inn in 1757 .....It becomes 7 ladies dressed in full S & M gear, drunk and all holding crystal balls ( the mystical kind) by the time its recited locally in 2011. Along with Dashwood’s double edged sword life philosophy of ‘Do what Thou Wilt’ was a deep interest in the esoteric issues of the day, alternative thinking, nature and the unknown. These interests are timeless and thankfully still here to day.....Albeit considered ‘lunatic fringe’ by the ignorant masses. I am always up for alternative views and takes on how things are and not one for mainstream media programming from the weapon of mass deception (TV) as to how collectively, the programmer would like me to see the world. Consensus views create consensus control....I’m all for oxygenating the water and occasionally throwing a rock in the pond. So, I have no problem with Dashwood’s life philosophy, as long as it didn’t infringe on the rights of others to do the same . There is another angle on the Do What Thou Wilt as a philosophy of spiritual advancement. It is often said that the only way to cure an addict is to give them all they ask for until they ask for it no more...they then own the experience through choice. To deny or forbid something doesn’t allow one to get beyond it, because they haven’t totally experienced it. They haven’t decided for themselves they don’t want it anymore. So they will forever crave to experience it, in effect never getting beyond it...and so not progressing. In my youth I partied as good as any of them....got older and learnt from the experience. I own the experience which in turn serves me now...the knowledge of the after effects of choices ( what happens if I drink to much) allows me to make a different choice....I am wiser for the experience. Do What Thou Wilt allows a fast track through experiences in effect chalking them up at a fast rate...getting them out of your system, getting beyond root desire. Why do we have an initial desire to do anything to start with? ...Something nudges us... we want to experience something then we hold back....so it recedes for a while then raises its head again. Ultimately in society we are all sheep dogs for each other and the church is the biggest sheep dog of all keeping the flock in line, in guilt and limiting experience by creating a rule book of what’s allowed and what’s not ...friends and family do the rest... ‘You can’t do that because’ .....or... ‘What will the neighbours say’. Yes, In strict religious times it was indeed frowned upon as being very naughty and sinful to party till the early hours and maybe have more than one partner. ...compared to today it wouldn’t even make the pages of Twitter....yet the mystique of Dashwood’s behaviour remains. All I have found are paintings showing a lot of excessive drinking and partying....some do show underlying esoteric undertones and understanding of principles...But so what ?....So do many TM graphics on this web site. I wonder if they will discuss Templar Mechanics in 300 years like they now discuss Dashwood? Dashwood was obviously beyond caring what others thought....Hence he decided to ‘Do What Thou Wilt’. 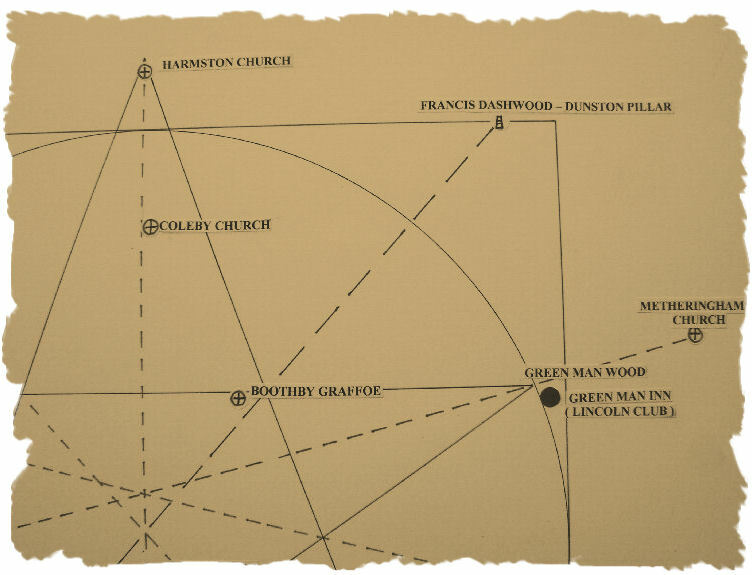 I am yet to find a detailed description of wrong doing....just a lot of internet banter about disappearing behind closed doors to do whatever they were doing....There are no reliable details to my knowledge of what went on either at Medmenham or the Green Man Inn in the 1700’s, situated at the right arm of Bruer pentacle in Lincolnshire. ....It’s all hear say and guesswork. The ‘Hell fire club’ label was attached to the Knights of St. Francis group because of the liberal sexual behaviour of its members.....a liking for drink and wearing strange garb. ...all these are well recorded.... everything else is a maybe. On May 1st 1776 the Illuminati was formed in Ingoldstat , Upper Bavaria by Adam Weishaupt. 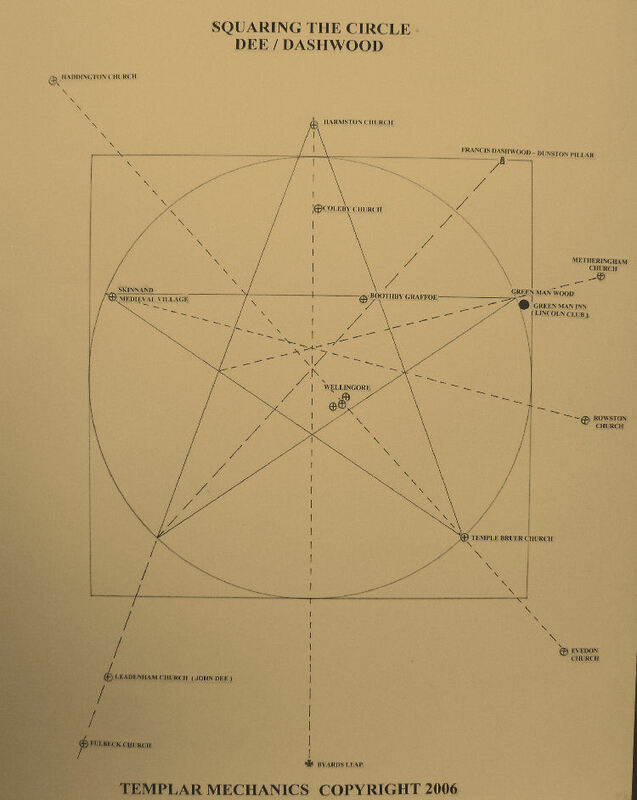 No surprise then that the original members were structured around the pentagram….having five main original members. Weishaupt was brought up in the Roman Catholic faith and educated by the Jesuits. His father died when he was seven and he was fostered by his godfather, a German aristocrat called Baron Ickstett. Weishaupt spent hours in his godfather's extensive library reading learned works on philosophy and science. As an undergraduate at university Weishaupt studied the ancient Greek Eleusian Mysteries and the mystical doctrines of the Greek philosopher Pythagoras. Even at this young age he was thinking about forming a secret society based on the pagan mystery schools. This puts the early illuminati at odds with the current psychopathic Illuminati mindset today which associates itself with the original order. The current so called expressions of the ‘illuminati’ have become the antithesis of what Weishaupt set out to change. In 1774 Weishaupt became interested in Freemasonry. However, he was disappointed in what he found, believing the Freemasons did not understand Masonry's occult significance. In 1777, he finally joined the Masonic Lodge of the Strict Observance Rite in Munich, which practiced a form of neo-Templar-Masonry. National identity ( creating division, territoriality mindset ) where he expressed no national identity . In place of equality we have inequality ….and inequality is the greatest cause of violence from one person towards another. The anti-royalist / anti-clerical nature of the early Illuminati can also be seen in its initiation ceremony. The candidate was led into a small room where, in front of an empty throne, a table stood with the traditional symbols of kingship - a sceptre, sword and crown - on it. The candidate was invited to pick up these objects, but if he did then he would be refused entry into the Order. Having passed this test, he was led into a second room with a table draped in black cloth. On this table were a plain wooden cross and a red Phrygian cap as worn by initiates of the ancient Mithraic Mysteries. The cap was given to the initiate and he was told to wear it proudly as it was worth far more than the crown of any king. Weishaupt believed in a “Law of Fives.” Seeing things as cyclical and having five expressions before reverting back to the original ‘setting’. His cycle of five below is very interesting and mirrors a cycle of sorts we seem to be going through….Looking at it as a prophecy / prediction I see us between the end of 4 and going into 5 in the cycle. 1. Chaos, the starting point of all societies. It related, in Weishaupt’s mind, to the goddess cults of antiquity; especially to the worship of Lilith, Eris, Diana,Isis or Kali. 2 Dicord, where a ruling class emerges and seizes control. Weishaupt related this period to introduction of the worship of Marduk or Osiris. 3 Confusion, where folk would attempt to restore a balance between the two preceding forces. He related this period to the child-god Loki or Horus or to a kind of devil. 4 Bureaucracy, the result of the synthesis of stage 3 failing. A spiritual void where absolutely no deity would be acknowledged. People cannot abide this void and escape into fantasy, drugs, or madness. During this phase the destruction of the middle class takes place. 5) Aftermath, where society implodes and reverts to chaos. The bureaucracy crashes under the weight of its own red tape and things spiral out of control. Magic and nature now rule again, and the cycle is in preparation to begin again. Relating the first three to sacred geometry we can see the first three stages expressed as the 345 triangle....Isis , Osiris, Horus. 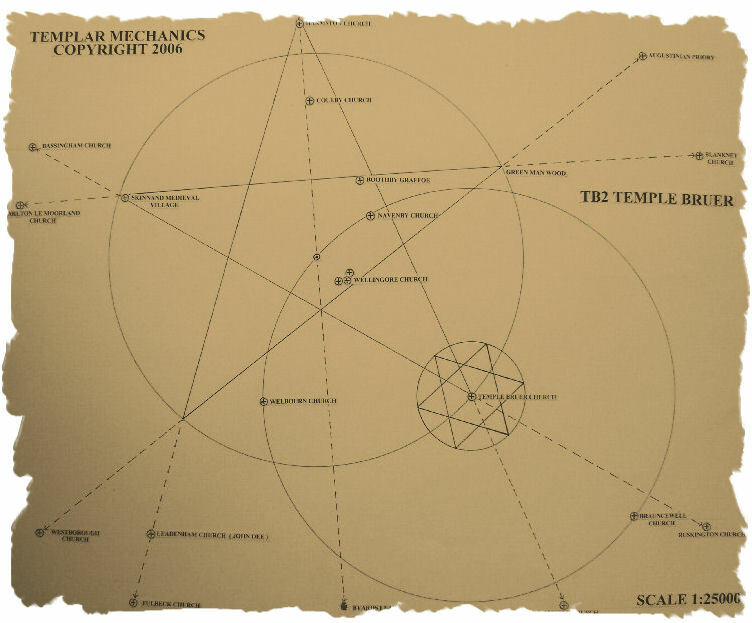 It does however maybe suggest a training program of sorts...where light and dark energies run through chapters of a play, creating a temporary stage for the players to participate in over many incarnations / life times...based around a life and death seasonal cycle of nature. I do believe major misdemeanours are going on behind closed doors by the current psychopathic Illuminati mindset that is taking the world to the edge of oblivion...Thanks to their compliant puppet Governments , military and the general populace who go along with it all for an easy time. If the behaviour of the Dashwood clan of ‘Do What Thout Wilt’ looks self centered and selfish in 1757 why not take a look nearer home where in 2011 the evidence is not hidden behind closed doors but in the graphic bloody image of blown up children in the middle east. ....and we think we have evolved beyond barbaric ‘Templar times’ behaviour? The only difference in 2011 is the carnage and mutilated limbs come off after pressing a button than face on with a sword. The modern communications of the age show lots to suggest this is occurring. People who say it isn’t just don’t want to face what is too uncomfortable to face. By denying we are controlled by people and groups with psychopathic tendencies relieves us of the need to do anything about it....no problem exists, so no action required mindset.....ignorance is bliss. Everything begins with choice...If that choice is ‘apathy’ then that reaction in itself will have consequences as our attitude by proxy condones it. We are about to see where that choice takes us and what it holds for our grandchildren.